Regina Resnik, who was born as Resnick (she lost the ‘c’ early on) in the Bronx in 1922, has died in New York after a stroke, at 90. It was the biggest gamble of my life, when I decided over two tumultuous years that perhaps I was not a soprano after all. There were many opinions: I was a soprano with low notes, or mezzo with high notes. I have really run the gamut, and my range is exactly the same today. Not one note higher or lower. But I was happier in the depth of my voice than in its height. She made her Met début, where she was to appear frequently over many years, in 1944 after replacing Zinka Milanov in Il trovatore at 24-hours notice; a decade later she was singing Amneris in Aida and Laura in La Gioconda. Her mezzo début at the Met was in 1956 as Marina in Boris Godunov under Dimitri Mitropoulos, which was well received. 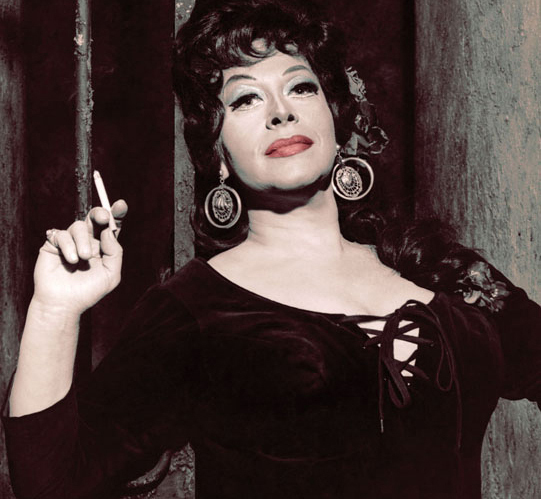 Resnik retired in 1983 after successful string of Carmens, Klytemnestras, Mistress Quicklys and Pique Dames in most of the important opera houses, including the Royal Opera House in London and La Scala in Milan. During the 1970s and 1980s, Resnik worked in opera alongside her husband, the painter and sculptor Arbit Blatas, as a director with his designs. A mini return to the stage happen in the late ’80s when she appeared in the Broadway revival of Cabaret, which earned her a Tony nomination, and as Mme. Armfeld in A Little Night Music at Lincoln Center, which gained her a Drama Desk nomination in 1991. Resnik recorded Carmen with Thomas Schippers, Klytemnestra with Georg Solti, Mistress Quickly with Leonard Bernstein, Orlovsky with Herbert von Karajan, Pique Dame with Mstislav Rostropovich and Sieglinde with Clemens Krauss, and many others. She was a totally an American original, she was always very proud of being educated in the United States and beginning her career in the United States. She embraced the opportunities she was given, and whether or not Mr Bing thought they were star parts, she made them star parts. Directors loved her, conductors loved her, and the audience loved her.